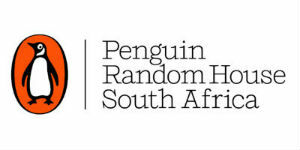 Penguin Random House South Africa received top honors in the Trade Publisher of the Year category at the 2017 Sefika Awards ceremony, held last week in Durban, SA. Congratulations to our sister company on receiving this prize for the second consecutive year. The Sefika Awards celebrate booksellers and publishers for the roles they play in promoting a culture of reading in South Africa. The Trade Publisher of the Year Award rewards overall excellence in the South African Trade Publishing sector. The criteria used by booksellers in determining the Sefika Awards include outstanding turnaround times for book delivery, exceptional customer service and communication from the sales team to booksellers, and supporting booksellers with book launches and publicity.